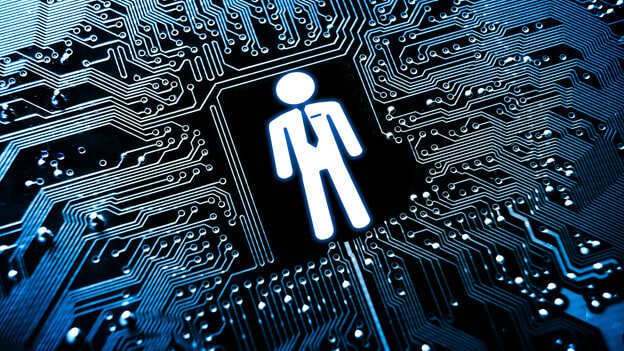 Article: HR Technology: What’s Your Tech-Away? HR Technology: What’s Your Tech-Away? Considering the scale at which organizations have been opting for HR tech solutions, it is apparent that this is not a mere trend riding on herd mentality. While this shift and swaying towards HR tech is ubiquitous, lets take a moment to understand what it actually is that HR tech has to offer. As more and more companies are trying to tie in people and processes efficiently, technology is emerging as what binds it all together. It’s ironic that our technological dependence is the key to making businesses more human. It’s not without reason that according to a survey by Deloitte, 57% companies today plan to make considerable investments in new HR related software within the next two years. Analytics, big data, and people are regarded as the trinity that can make or break any organization. Building the right talent base has now become more important than ever and vendors are now focusing on creating talent analytics solutions that are customizable and can be tailored to suit the needs of every organization. Whether the promise of a single solution for all talent qualms is close at hand or cannot really be assured, but we are definitely closer to attaining the same than we were even a couple of years back. People data is easy to access, analyze and action now with frontrunners like SuccessFactors, Oracle and Workday pitching it big. Organizations now, rather than buying software to improve proficiency of HR operations are focusing on strategic talent initiatives to make better hiring decisions and create greater employee engagement. Most companies today still have HRIS and HRMS software that are half a decade old and are rather close to becoming obsolete. Moreover, instead of having just one software, companies tend to use multiple platforms simultaneously. The reason behind this is that HR tech systems are constantly being developed, upgraded and improved upon, much like any other piece of technology. What’s funny to observe is that with things changing so fast, it’s often hard to tell whether necessity leads to a new gradation or invention or whether the presence of a newly evolved technology leads to us thinking that it is a necessity. Either way, it'’ easy to get sucked into the vortex of constantly upgrading existent software, but the idea is not to jump at every possible change without analyzing whether your organization is ready for it or not. Speaking of constant up-gradation cycles, software providers have a solution ready – migrating to cloud. There’s nearly endless storage space for every organization’s lifeline today – data. But, that’s not all. Moving to cloud also reduces costs when it comes to switching vendors. Also, it’s not that only a few processes can be moved to cloud. With Oracle, SAP, CornerstoneOnDemand, SumTotal, Halogen and Kenexa all providing cloud-based solutions, it is possible to move HR functions and more holistically on cloud. While designing 'Happyness Quotient', that is precisely what we kept in mind too. A cloud-based tool that provides real-time people data, to us was a stepping stone towards creating sustainable happiness at work. With AI (Artificial Intelligence) and VR (Virtual reality) becoming than just often dropped by-words, the compelling user interfaces and software with experiential content is making its presence felt for sure. Moreover, most HR tech solutions today are optimized for mobile devices and can thus be accessed from practically anywhere, anytime. Besides, with the user experience they provide, people want to use them and organizations can finally be rid of the fear of low user numbers in spite of big investments. This is still a relatively young market with limited penetration and there are new developments and discoveries every day. There are next generation recruitment and social sourcing tools that are efficient and tackle various issues faced by their technological predecessors. There is one genre of tools that are much in demand today and these are L&D software that allows employees to access training modules from anywhere, customize them to their specific needs and prepare individualized schedules. There are also platforms and tools being created that make employee surveys fun and engaging besides providing a depth of data and insights that were not accessible earlier. With the Human Resources space evolving (and evolving fast! ), HR tech is the logical step forward. Though there are often doubts that need to be addressed when it comes to investing in the right software and platforms, understanding the needs of your organization is where one should start. It might be easy to follow the wave and do what others are doing but what works for one organization does not necessarily work for another. There are people and cultures at the crux of it all and just like we tend to look at a person-organization fit before hiring talent, even when employing the right tools, we should look at what might be called a software-organization fit.